Take care of you with Conscientiousness respect, we feel with success when we capture a unforgettable smile upon entering Inn Suites Madrid and the farewell comes with a little sadness of a promise return. 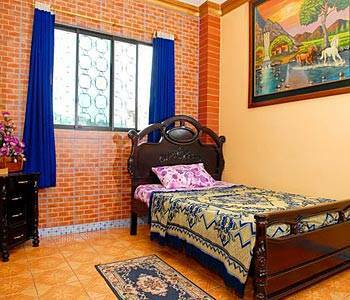 Hostal Suites Madrid Is located in the commercial Heart ;and financial system in the city of Guayaquil. 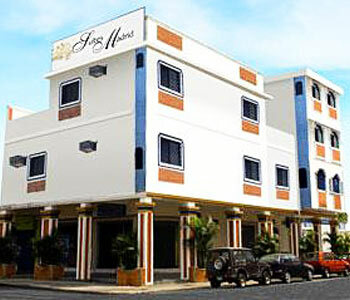 We are strategically accessible to any area important to know, such as shopping malls and touristic site. 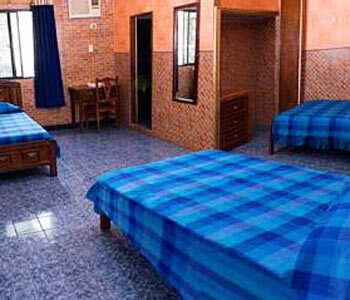 Hostal Suites Madrid has the best rooms for your pleasant rest. 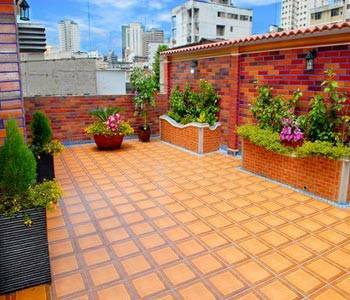 It also has the pleasant opportunity to take the sun of Guayaquil in our modern living room outdoors. Simple Room Ensuite, with all the comforts that you'll pleased you. 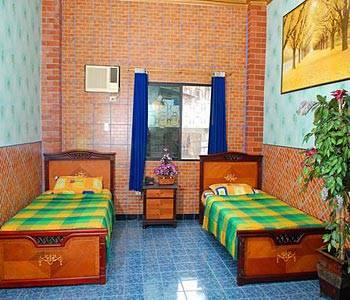 Twin Room Ensuite, to be in the company's of a best friend with big areas to share and enjoy. Triple Room Ensuite, spaces for companionship, with the comfort of our beds. 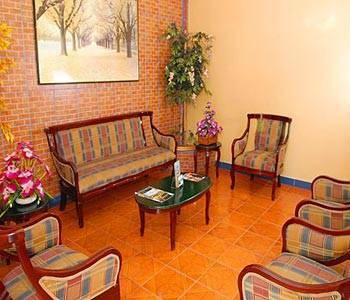 The relax and confort will make you feel like being at home. Inside the hotel, with excelnt food at a low price. You will get pleased by the taste of our breakfast. Two days prior to check - in with penalty; The Hotel accepts the reservation with credit card to secure room; however, for your staying we only accept cash;you may cancel your reservation without penalty up until 2 days before your arrival date. Situated in the heart of the commercial district, Hostal Suites Madrid has the best rooms and guarantees a pleasant stay. Suites Madrid has an appropriate location for visiting malecon 2000, Cerro Santa Ana, las Penas, Parque de las Iguanas and Parque centenario.